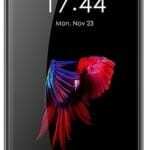 Homtom is a Chinese OEM that is active in the midrange to low-budget scene but not quite popular yet. 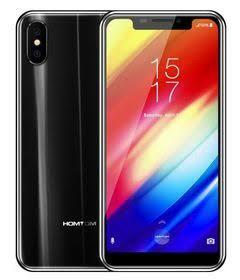 The Homtom H10 is a mid-ranger, albeit a bottom shelf one with a notch and carries average specs. 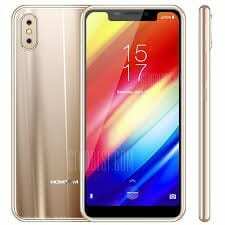 It tries to infuse the latest features into the smartphone as you have the notch, dial camera, USB Type-C, face unlock and others on the smartphone. Anyway, let’s see if the smartphone is any good for your money. Now, to the way the smartphone looks which is an important part of the review and a strong decisive factor for most. You got a reflective rear cover which is most likely glass bearing the widely dubbed iPhone X dual camera styling. Unlike the usual way, the smartphone has its fingerprint scanner on the right side which is also convenient. It is quite slim too having a thickness of just 7.8mm with blue gold and black colour variants. The Homtom H10 has got its own fair share of battery power to keep it on for the whole day. At the same time, how long the phone will last depend on you but with a 3, 500mAh you could do some few things and still be able to get through the day. It is nice that it has a USB Type-C port but it doesn’t feature fast charge. There is a relatively old SoC on this smartphone, even if it is still capable of handling of most the daily tasks. The MediaTek MT6750 processor is likely to encounter stutter as usage continues and so is the Mali-T860 GPU. Also,it features a 4GB RAM and a 64GB space for storage that can be further increased to 256GB. The operating system on it is the not too recent Android 8.1 Oreo from the box.